The Los Angeles Kings might not be the defending Stanley Cup champions, but they’re making the ones that are, the Chicago Blackhawks, look like a team that’s a bit in over their head, as the Kings take a 3-1 series lead in the Western conference finals thanks to an early blitz that led them to a 5-2 win and putting the early favorites on the brink of elimination. No discipline and eventually not enough fighting spirit. The Blackhawks looked clumsy and sloppy from the first minute of game 4 and completely took themselves out of the game en route to what might become a much earlier exit than they’ve expected, which will make it yet another year of a Stanley Cup champion being unable to defend their title. From Corey Crawford who isn’t bringing his best to this series to every line sent out there, the Blackhawks are getting dominated. You might say that Power Plays decided this game, as the Kings went out to score the first four goals in the game, including taking a 3-0 lead in the first period. 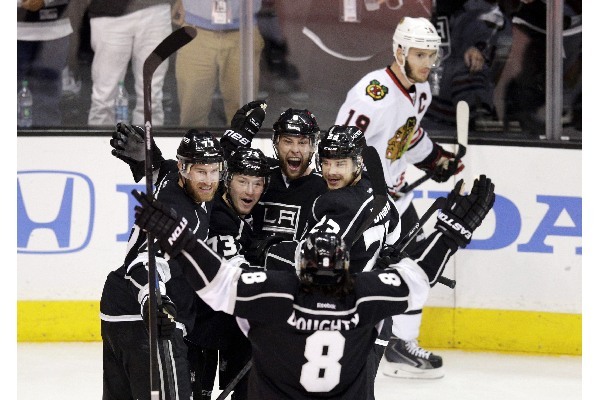 After Marian Hossa got two minutes for goalkeeper interference, the Kings were quick to take advantage by scoring on the Power Play as Jake Muzzin scored his fifth goal of the postseason. The Blackhawks got their man back, but were down by two goals a few minutes later as the excellent Marian Gaborik scored his 10th goal of the season. The game was over by the time the first period ended, as another Power Play resulted in another goal for the Kings with Dustin Brown getting on the stat sheet. When Drew Doughty scored 12:43 into the second period and gave the Kings a four-goal lead, there wasn’t a single soul on the ice or in the stands that believed there’s going to be a turnaround in this game, or any kind of turnaround in this series, with the Blackhawks all but finished it seems. 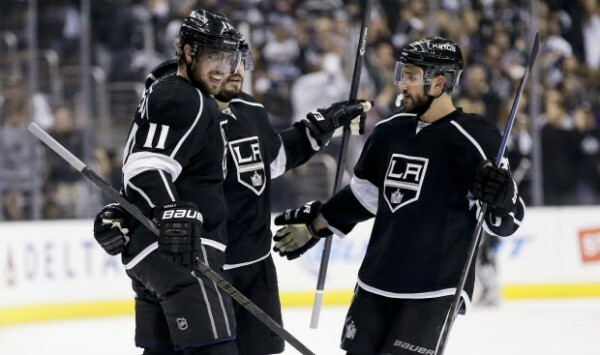 The Kings have looked impressive this Spring and have now won three consecutive games against Chicago in this series, which is like their road to this stage – four consecutive wins against the Sharks in the first round, two wins to come back from the dead against the Ducks in the conference semifinals and not letting the opening win by the Blackhawks get to them, winning three in a row, one win away from making it two Stanley Cup finals in three years. The Blackhawks have been in a similar situation before, and it means that there’s no overflowing sense of confidence, at least on the outside, from Kings players. Everyone, except for Gaborik who arrived only in March to help the team’s struggling offense, is keeping a business like demeanor. Maybe because it’s not that big of a rivalry, but maybe they’re simply aware of how quickly things can turn, and have a huge respect for Chicago after last year. We’re not looking ahead. Chicago, I believe they’ve been down 3-1 before. Every team has been through experiences that have made them better. Stanley Cup championship teams like Chicago and us, we’ve been through a lot. We’ve persevered through a lot, and they’re down 3-1, we’re trying to squash them, and they’re trying to get some life.